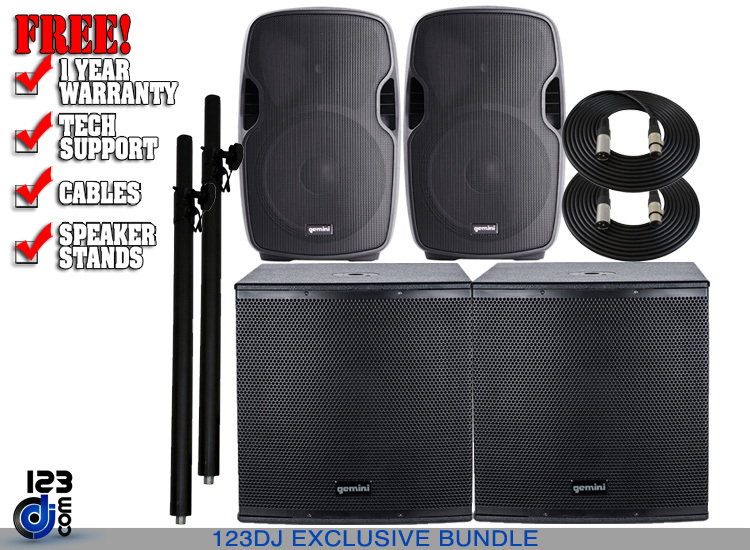 Lightweight and affordable powered speaker with 12-Inch low-frequency driver. 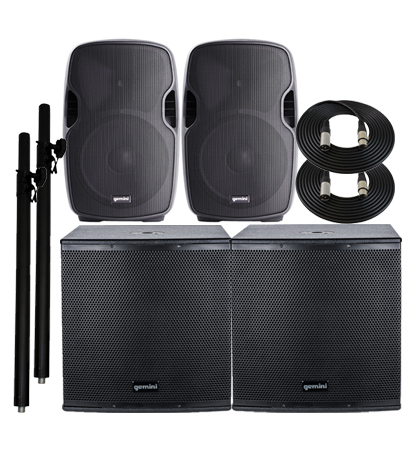 The Gemini AS Series continues in Gemini's defining mission of providing professional DJs, entertainers, venues and business presenters with reliable, well-constructed sound reinforcement equipment at an affordable price. The AS Series is available in passive and active configurations, the active configurations additionally having Bluetooth connectivity as an option. 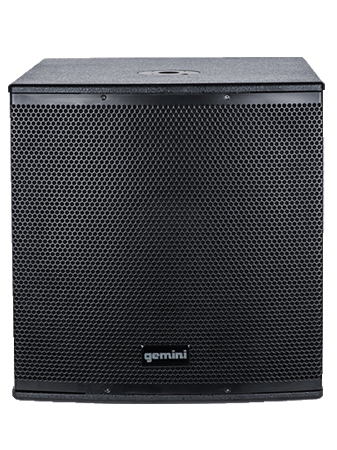 Gemini's AS-12BLU is a 2-way active PA speaker with 1500W peak Class AB built-in power amplifier. 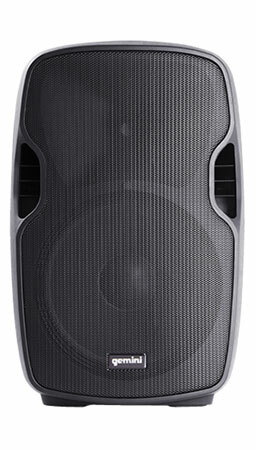 It has a 12-inch woofer, a 2-inch voice coil, and a Piezo compression driver delivering a linear frequency response between 30Hz-20kHz. 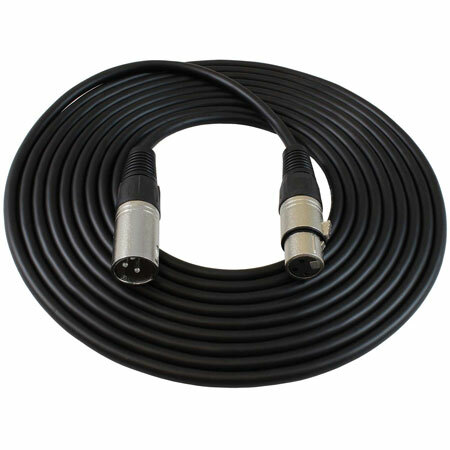 There are two mic inputs - both line and XLR - 1/4 inch input, 1/8-inch input, and RCA input, along with a LED clip alert light. Each input channel also has its own EQ settings. It has a wide dispersion horn with forward firing bass reflex ports, ABS impact-resistant nylon fiber cabinet, top and side handles for easy carrying, and is flyable and stand mountable.